To hear this morning that the Great Barrier Reef is on life-support, and may be officially “dead” is not only sad, but also disturbing. The Great Barrier Reef, the largest living organism on earth, was home to hundreds of millions of marine animals and represented a hugely bio-diverse habitat. To lose the great barrier reef due to climate change and ocean acidification, warming waters, changing currents, and a change in the diversity of life, represents a huge loss. I don’t just mean a loss in terms of economics, but, I mean a loss for species, a loss for humanity. It tells us that humans are the most destructive species on the planet. A topic I’ve touched on in the past in some of my Huffington Post blogs. It tells us that we are killing species at rates far faster than they can currently recover. It tells us that they certainly don’t need us to live, and in fact would be much better without us. It tells us that unless we immediately stop sourcing “products,” trophies, and entertainment from nature, we will destroy it. It tells us that we need to greatly change our ways, if we want to maintain a sustainable future. It tells us that our actions have prolonged and often delayed effects. Meaning, we still don’t know what will happen with climate change over the next several decades just based on what we have put in our world in the last 50 years. It shows us, once again we do not live in a vacuum, that our actions in one place affect the entire world; which, can also be seen by the fact that westernized countries do most harm to the environment, and yet it is the poorest and least-developed countries that suffer the most. The death of the Great Barrier Reef, is just another example of the variety of life that is failing in our hands. It is failing because of our actions and our behaviors, it is failing because of our desire for more animal products. Our gluts for animal products, whether elephant tusks, rhino horn, or milk or meat, are simply having detrimental effects on the entire biosphere! Whether it is the outright killing of animals for these so-called trophies, or for entertainment, or whether it’s raising animals for meat and milk, highly intensive processes, that use so many resources, our damage can no longer be swept under the rug. 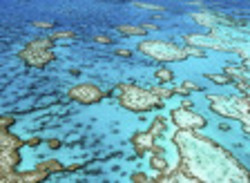 If the Great Barrier Reef is the canary in the coal mine, then I fear Earth has just shown its hand. I know I sound like a doomsayer, a naysayer, a hopeless person, but, I’m finding it harder to have hope when the goal is to decrease carbon emissions over the next 10 to 15 years, but nothing is being done to reduce methane emissions from agriculture, animal agriculture, and food waste. They say Millennial’s care about the climate and the environment. Unfortunately, Millennial’s are too young to be in elected office yet. If this is the last generation that can stop climate change, then we may be in a dire situation. We needed to take action on climate change, food systems, sustainability, conservation, 25 years ago, before things got out of hand. Because I am generally an optimistic person, there is a great part of me that still believes we can combat this before we lose much else. Though, the realist in me has been losing hope for quite some time. In the words of Jane Goodall: “There’s still a lot left worth fighting for.” Let’s do it together, immediately.